HOA Political Scene 35! Will There Be Any Sudan after Two Months? There is short article in this edition of HOA Political Scene 35. The article comes with pain and sorrow, especially when many factions in the country raise different secession schemes. I really wish I were wrong in this estimation and hope for positive development that keeps me keep optimistic. Have a nice reading and please do share your opinion. What Will Happen After Two Months in Sudan? The right question should be-- what will remain of Sudan so? The dictatorial ruling party in Sudan invests the time to direct the referendum process and the parallel talks to settle the future between the south and the north, as the party wishes. The party knows that the issues waiting for deep discussions and resolutions on the list of talks are many and the tasks are huge. Among the undergoing vital issues are financial, economical and natural resources like oil, water, assets, debts, currency and security in addition to nationality and citizenship. While talks are now going on, the dictatorial ruling party seems to circle in an empty circle of the issue of Abeiy and other concerns, killing the time for maybe some planned schemes. This happens while delegations from the international and the African Union run continuous talks in Khartoum to enhance the political, legal and practical mechanisms of all the channels concerned and involved in the official talks between the two partners of the so called comprehensive peace agreement in the southern Sudan. It is now about two months left for the referendum to take place in the Southern Sudan. The Sudanese opposition says time is not enough to discuss all these issues and any hurry in resolving such issues will lead to the renewal of the war. The war will not be only in the South Sudan. Wars are now in Darfur and the failure in the south will raise the flame of the war in Darfur and the war in eastern Sudan. Such situation will probably lead to total disasters in the entire country. But, who does care? While hundreds of thousands of southerners in the north including families and children love to continue living there, the dictatorial ruling party comes recently with a new issue about a kind of confederation between the north and the south. The party uses an issue that has been agreed upon in the Sudanese National Alliance before the signing of the peace agreement. Discussions between the Sudanese opposition groups highlighted and agreed to take both the necessities of federation and confederation as solutions as the conditions require and they documented some procedures to implement in the future. Now, just looking back to what happens in Sudan, I could say, the bomb is set on time and the gains will never offset the loses. Why I am saying this? The answer is simple. What has planned for the one million square miles country to dissolve is underway. When southern Sudan becomes independent state, the wars will continue to erupt in the north, the east and the west. Demands for secession are already raised the awareness to secede influenced by the southern Sudan. The Doha meetings to solve the problems in the west continue remarkable failures. The dictatorial ruling party determines to destroy Sudan in favour of its own interests while it neglects the participation of all the political powers in the national solutions to the Sudanese political problems and depends on foreign political powers. However, it forgets that, when Sudan becomes devastated the party will have no chance to keep its interests. Foreign political powers have written the scenario already for the players to take their roles in the modern theatre of conspiracy in Sudan. The south has gone already and the west and the east are on the way. What will remain of Sudan so? The west may go to Chad, part of the east may go to Eritrea and the other part to Ethiopia and the north, -- ah well, will Egypt accept it? Nothing called Sudan will remain, but only the memorials. I wish I were wrong! Anyhow, if this was not the exact scenario, the tribal based estates are the intention. So, instead of one Sudan we may get four Sudan or more! Take the uprising now before it is too late. This (as it happens column) comes to make HOA Political Scene 35 more appealing and break that sticky stone in our feelings. If you love whispering words, flying butterflies, essences and ecstasies, then the following (beauty of the words) means something to you. Let me read yours through the comment form and our friends will read it here in the coming editions of the newsletter. Khalid Osman's Digested Quote of the Day! Now I will tell you about a secret here in HOA Political Scene 35. While you are at this line, refresh the page and you will read different quotes in the lines above when you did. "I quench the fire of love by romantic poetry." All comments on HOA Political Scene 35 appear at links below the form. To make an entry to comments on HOA Political Scene 35, click on "Click here to read or post comments". If you wanted to enter new comment, but not to reply to comments on HOA Political Scene 35, do that through the form. Thanks. As usual, you can use HOA Political Scene 35 to follow talkative in Twitter. This column is moved to the third right column. Please share HOA Political Scene 35 with your social media through the small buttons on this page. Thanks. HOAs Dictators are Western Instruments! "Solo Build It" on the image bar at the bottom of HOA Political Scene 35 empower this page and the entire HOA Political Scene. "Like" above & "Tweet" below to express your love! I promise! Do not jump this right column! It is full of many interesting topics. If you were searching for political careers, writing jobs, bachelors in political science, just see below. Get One of My Books! Well, subscribe to the HOA PoliticalScene newsletter here and tell me that you came to it from this page through the Contact Us form here. 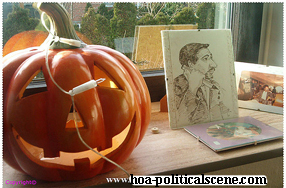 Subscribe to the HOA PoliticalScene Newsletter and receive the e-books you see their covers here. Great political thinking is not made today! It has history of good reading in useful resources. The power of political thinking is essential whenever it becomes motive for people! What is in your mind about HOA PoliticalScene Newsletter and the political development in the Horn of Africa? Travelling to East Africa or from East Africa? Try this and find cheap air tickets at 100-Beautiful-Sites-in-the-World.com. By the way friends, this will support and fundraise some of our projects. You actually travel, so why not do it here whenever you want to travel to any place in the world?